There are some simple rules of thumb that, if followed, would help a student to maximize his or her goals. To begin with, decide where you want to be in 10 years, and plan accordingly. Work backwards from the 10-year goal and ask yourself, 'To get where I want to be in 10 years, where should I be in 8 years?, in 5 years?,..' and so on, until you find yourself saying-'in that case, this is what I should be doing now'. If getting a steady, well-paying job is the goal, then look hard at technical options and vocational options in addition to universities. It is false that 'only university graduates get the good jobs'. In North America, very few employers care about your degree-they only want to know what you can actually do. How many Bangladeshis known to us are working at jobs that are remotely connected to their degrees, and for those who work as taxi-drivers or security guards, their jobs have no connection with their education at all. The advice is given first, for students entering university, when parents have greater say in students' choices, as well as for those who are entering a Masters programme, and have, of necessity, the primary responsibility for their own future. First, during their undergraduate years, students should plan ahead and take, if necessary, extra elective courses in mathematics and statistics. For example, the highest level of mathematics in most undergraduate economics programmes in Bangladesh covers the concepts of static optimization, and in rare cases may include dynamic optimization. One way to increase the mathematical/ statistical footprint in the academic transcript is by enrolling in additional courses such as differential calculus, topology or mathematical statistics from other departments in the university, with more advanced subjects such as measure theory best left until one is abroad. In case such courses are not available, students can consider taking online courses, many of which are really engaging and worthwhile. Second, those students who plan going abroad after their Masters degree should strive to undertake a Masters by thesis and not one through coursework alone. A thesis helps students in numerous ways, such as how to frame a research question that is worthy of investigation, doing a literature review, and what steps are involved in writing an academic paper. More importantly, a thesis forces students to improve their writing skills. A good writing sample can more than compensate a student's deficiency in other areas as a low CGPA or GRE score. Third, good students should aim to get into the top-graduate schools in the USA, even if it requires an additional year of preparation. US universities have a 'caste system'. If you get in at the top, you will always get the first pick and the benefit of the doubt. For most subjects, the Ivy League schools form the highest caste. Other Western countries have their own hierarchies, and the relative ranks of the East Asian universities, such as those of Japan and Koreas, almost seem to be set in stone. This does not mean that you cannot be comfortable, or even rise, if you happen to be from a second-ranked school, particularly if you are in the US, but every step may be a struggle and you will be asked to prove yourself twice as often. 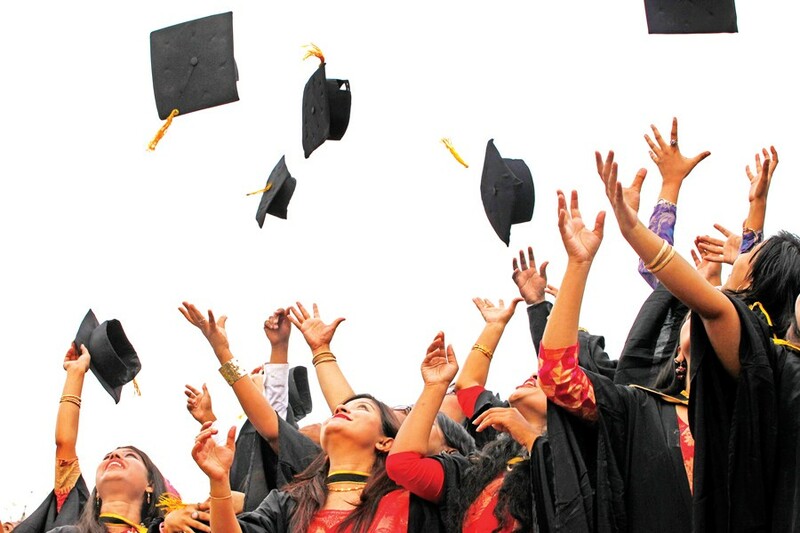 Students who are not planning to go abroad, or consider it impossible to do so, should choose among Bangladeshi universities according to the extent to which the university prepares them for a job, and not according to some false notion of prestige or reputation. Since the goal is getting a job, that university is best which works hardest at getting you prepared for one. Universities which turn out the best students because they take in the best students can only take credit for not having ruined their intake. The real challenge lies in admitting students who are not first class and motivating them to become first-class ones. In economic language, it is not the output, but the value added, that counts. Hence, students and parents should ask all Universities to publish the following: the placements of recent graduates in jobs, including the time to get the first job, average starting salary, etc. This is crucial data for deciding how well a university is doing what you want it to do. A coaching centre that can guarantee good results will make more money by selling its techniques in the USA or China-so why are they here? As to 'arranging' scholarships, as this is the honey that entices parents, those who possess such 'arrangements' should apply for an international patent, as the money to be made by licensing that patent is simply uncountable. The rest of the article provides examples of the inexplicable behaviour mentioned above, with brief comments. Every year, many students from Bangladesh go abroad for higher studies. However, they are not always placed in institutions commensurate with their potential. Some illustrations follow where the students are referred to only by an initial. M, a young man with undergraduate and graduate degrees in economics, wants to go abroad for a Ph.D. His CGPA is over 3.5 in both the degrees and he has experience as a teaching assistant and as a lecturer. Many students with similar profiles sat for the GRE and went to North America to pursue a Ph.D. However, M has an offer for the masters in a university in Germany, and he is determined to go there. Upon hearing this update, I asked him where he wants to be 10 years from now. He did not have a thoughtful answer, but said that he wants to become an academic and so getting a Ph.D. is a must. I also asked him why he is not considering going to a North American university whose Ph.D. programme is more rigorous and more acceptable on the market. However, M seems to be more tempted by the offer he has in hand than the eventual return to his education after ten years. This myopia is pervasive among Bangladeshi graduate students contemplating going abroad. Here is another example. Two graduates secured admission abroad while working on their masters theses at a private university in Dhaka. Anticipating that finishing their theses would take longer, they opted for doing extra courses as a substitute for the thesis. They regretted the decision later as the programme they got admitted into required 'research aptitude', a talent which they chose not to develop at home, because of their desperation to 'get abroad'. The bottom line is simple. Many graduate students with high potential behave erratically when faced with the option to go abroad, without doing a proper analysis about the best way to go abroad so as to realise the value of their future potential. opt for a masters in economics (which is more technical) than getting a masters in a non-technical major. If all you need is a Masters, take the easiest one you can. It is also not clear why many students do not maximize the returns from education (through reading and acquiring technical skills), rather than continuing very casually in an academic programme. Thus, some students enroll in a course but attend class only after payment, well after class has begun. Most often, they are late because of finances, which is understandable. But when asked why don't they sit in the class anyway (no teacher asks whether a student has paid their fees or not) if they know they will enroll later, they seem very confused. These cognitive limitations, or lack of proper advice from their mentors, has a significant impact on a student's learning and subsequent career. Another puzzle is why a student who is poor in, say, mathematics but good in other subjects will not seek expert help from their peers or outsiders to fill her void. If learning a specific mathematics tool is considered similar to buying a product from a market, then certainly a market can be created, if one does not already exist, where students can help one another. Yet another puzzle is that often students want to study a particular subject (say financial economics), but do not do so as they have already completed their mandatory requirement of core and elective credits. Why can't they simply attend the course they like as a guest student (with the permission from faculty)? Or, why not take extra credits beyond the required 36 credits for a graduate degree? Upon boarding a tram in Helsinki, Finland, in 2014, I found no seats free. Upon seeing my bags and my white hair, a young man got up and gave me his seat. I thanked him and looked at his brown features. 'Where are you from?'. 'Bangladesh'. I immediately struck up a conversation. How did you get here and where did you study? He came as a student and studied at a place beyond Rovaniemi, in the Arctic Circle, at the University of Jyväskylä, I think. If you have not been to those areas, you have no idea how bleak and frozen the entire countryside is. And yet, this son of Bangladesh somehow found out this university and studied there for four years, simply because his internet search showed that scholarships were available. 'What are you doing now?' 'I work in the docks' was the reply, in a tone which meant that he did not want any further questions. Despite his degree, which was in meteorology as I remember, he took the available job of dock worker, waiter or service representative for a cruise ship at the dock. During the last 30 years, this is a pattern I have seen repeat. Bangladeshis, both children and parents, seek desperately for a higher education that will leave open the possibility of working abroad. No other people whom I have seen in visiting some 25 countries all over the world do exhibit this intense respect for education as the means for an adequate and comfortable life. The decision to adopt education as an escape valve is basically a financial one, and is only mildly related to most points above, which relate to those students who really do want to study. Nonetheless, it may be worthwhile to address the concerns and the calculations both students and their parents are making, especially since several decisions reflect a lack of knowledge and others indicate inadequate methods of calculation. 1. After completing my studies, is it possible to get an initial job, temporary or permanent, in that country, so that eventually I can become a permanent resident of that country? 2. What are the costs of the study? Parents prefer the low-cost option. 3. Can I work during my studies, so as to reduce the financial burden? These questions require a country-by-country, perhaps even a subject-by-subject, analysis. Any quick characterization is guaranteed to be misleading. While teaching in Fiji, I came across a dozen Bangladeshi students who had been lured into Fiji by misleading promises. They were students of hotel management and had been told that once graduated, they would be guaranteed jobs in Canada. False. What is worse is that the Fiji diploma was not even a recognized degree. Instead of remitting money home, these students were now begging their parents to pay for their upkeep. This example illustrates two important points. First, that it is in the interest of the foreign universities to portray themselves as gateways to employment. This allows them to enlarge their market and maximise profits. The weaker the degree, the greater the incentive to mislead. Students and parents must inquire carefully, then acquire, store and share the information they have, so that everyone is benefited. For example, they need to ask for accreditation, professional certificates, and a list of employers of past graduates. Any institution that does not provide such information readily is suspect. Please, be a good customer of higher education, and demand to be fully informed. Do this in writing, so that you can have legal redress against those who deceive the public. Secondly, once the mistake was realized upon reaching Fiji, cut your losses. Because you have already lost a year and incurred heavy expenses, staying on in Fiji for another 3 years makes absolutely no sense. It only ensures that you will lose another 3 years, making a total loss of 4 years instead of one, along with a great deal of additional expenses. Allowing non-citizens to work is very much a political decision. All the rich East Asian economies, as well as Europe, have declining native populations. If the aged in these countries want to preserve their material comforts, they must attract foreign labour. But this only helps the Third World in general. The Germans can choose from Syrians, Turks, Afghans, Sudanese, Nigerians, and Samoans-why should they prefer Bangladeshis? Past experience is a great guide for the host countries. In Italy, I was very impressed with the fact that Bangladeshis were widely employed in responsible positions in stores, so much so that, in two cases, the Italian owners had gone on vacation leaving the store/restaurant in the hands of a Bangladeshi. Their honesty and hard work was so appreciated that I know of a village of some 4,000 people, 800 of whom are in Italy. If one person goes and works well, they can attract twenty more. 'Friends and Families' is the magnet which attracts and holds migrant workers. The pattern of politics in the last year, all over Europe, has been steadily going against allowing such employment. Australia, and marginally less calculating, Canada, have an even sweeter system, which basically says that 'We will educate you only if we are guaranteed that you pay us fully for any exigency, including illness, and we will give you a job only if we see a clear profit to us in doing so'. Except for the United States, no other country looks upon immigrants as future citizens, or has a programme -- called 'practical training' -- which allows students to gain employment experience for a year. Country presence and local information are crucial for making choices. For the US and the UK there is a vast reservoir of knowledge which only needs a systematic sharing platform. For newer countries, such as Brazil or South Africa, the economic attaches at all Bangladesh embassies can be charged with providing a report, duly referenced as to how they obtained their information, about educational quality and job prospects. Our problems are not uniquely Bangladeshi, perhaps the opposite, as the following quote from the graduate of Peking University, quoted earlier, will illustrate: 'Chinese students somehow care too much about grades/ranking instead of actually thinking about their own interests/career goals. Universities do not provide any resources and services to encourage students to develop their careers. They just produce students like a pipeline. So the funny thing is that students do not even know what to do after graduation. In Peking most of the students apply for US graduate schools because that is the easiest way to get a "job"'. Many developing and emerging economies face similar problems, but that is no reason to believe that Bangladesh cannot solve the problems posed before everyone else.